Personal information on this Site is collected by TFTM.NET. TFTM.NET's address is P.O. Box 521033 Longwood, FL 32752-1033. As a visitor to this Site, you can engage in many activities without providing any personal information. In connection with other activities, such as subscribing to the collaboration services offered on the Site or utilizing online software applications, TFTM.NET may ask you to provide certain information about yourself by filling out and submitting an online form. It is completely optional for you to engage in these activities. If you elect to engage in these activities, however, TFTM.NET may ask that you provide us personal information, such as your first and last name, mailing address (including ZIP code), e-mail address, employer, job title and department, telephone and facsimile numbers, and other personal information. When ordering products or services on the Site, you may be asked to provide a credit card number. Depending upon the activity, some of the information that we ask you to provide is identified as mandatory and some as voluntary. If you do not provide the mandatory data with respect to a particular activity, you will not be able to engage in that activity. When you use the Site, TFTM.NET or third parties authorized by TFTM.NET may also collect certain technical and routing information about your computer to facilitate your use of the Site and its services. For example, we may log environmental variables, such as browser type, operating system, CPU speed, and the Internet Protocol ("IP") address of your computer. We use these environmental variables to facilitate and track your use of the Site and its services. TFTM.NET also uses such environmental variables to measure traffic patterns on the Site. Without expressly informing you in each particular circumstance, we do not match such information with any of your personal information. When you submit personal information to TFTM.NET through this Site, you understand and agree that this information may be transferred across national boundaries and may be stored and processed in any of the countries in which TFTM.NET and its affiliates and subsidiaries maintain offices, including, without limitation, the United States. You also acknowledge that in certain countries or with respect to certain activities, the collection, transferring, storage, and processing of your information may be undertaken by trusted vendors of TFTM.NET. Such vendors are bound by contract not to use your personal information for their own purposes or provide it to any third parties. One instance where this could occur is in conjunction with framed pages in which the URL for the pages is not visible and the pages are being hosted by a vendor of TFTM.NET. TFTM.NET collects your information in order to record and support your participation in the activities you select. If you subscribe to a service or register a product, for example, the information is used to register your rights, if any, to technical support or other benefits that may be made available to registered users. As another example, if you enter a contest, information is collected to qualify the entry and contact you regarding the contest or prize awards. Your personal information is also used to keep you informed about product upgrades, special offers, and other products and services of TFTM.NET and selected third parties if you have so opted to receive such communications. TFTM.NET may collect information about the use of the Site, such as the types of services used and how many users we receive daily. This information is collected in aggregate form, without identifying any user individually. TFTM.NET may use this aggregate, non-identifying statistical data for statistical analysis, marketing, or similar promotional purposes. There are other instances in which TFTM.NET may divulge your personal information. TFTM.NET may provide your personal information if necessary, in TFTM.NET's good faith judgment, to comply with laws or regulations of a governmental or regulatory body or in response to a valid subpoena, warrant, or order or to protect the rights of TFTM.NET or others. 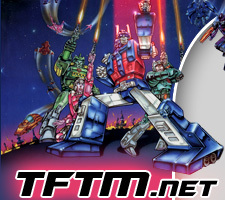 The personal information that you provide in connection with registering yourself as a user of TFTM.NET products or services or registering an TFTM.NET product is classified as Registration Information. Registration Information is protected in several ways. Access by you to your Registration Information is available through a password and unique customer ID selected by you. This password is encrypted. We recommend that you do not divulge your password to anyone. In addition, your Registration Information resides on a secure server that only selected TFTM.NET personnel and contractors have access to via password. TFTM.NET encrypts your personal information and thereby strives to prevent unauthorized parties from viewing such information when it is transmitted to TFTM.NET. Personal information that you provide that does not constitute Registration Information also resides on a secure server and is only accessible to selected TFTM.NET personnel and contractors via password. Since this information is not accessible by you, you will not be asked to select a password in order to view or modify such information. Please note that any information you post to a public bulletin board or chat room, such as the TFTM.NET User to User Forums (the "Forums"), is available to all persons accessing that location. Your e-mail address will not automatically be posted on the Forums unless you modify the default setting to permit that. Your e-mail address would then be available to all persons accessing the Forums. In addition, you should be aware that the Forums offers a service in which subscribers are e-mailed a copy of all messages posted to the Forums on a particular topic. Consequently, if you post a message to the Forums, your e-mail address will be sent to those subscribers that have indicated an interest in the topic of your message. Please include your name, address, and/or e-mail address when you contact us. Although no specific form is required to notify TFTM.NET of changes to your address or privacy preferences, you may download a Change of Address form by clicking on Change of Address form.